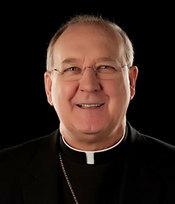 The Irish-born Cardinal Farrell is the former bishop of Dallas and chancellor of the University of Dallas. He was elevated last year to cardinal by Pope Francis and appointed to lead the Dicastery for Laity, the Family and Life, a new Vatican department that focuses on the lives of ordinary Catholics worldwide. He is the highest-ranking U.S. prelate serving in the Vatican. He previously served for 24 years in the Archdiocese of Washington, D.C., and within the U.S. Conference of Catholic Bishops he served as a consultant to the Committee on Migration, to the Committee on Divine Worship and as the Treasurer of the conference. He holds degrees from the University of Salamanca in Spain, Pontifical Gregorian University in Rome and Pontifical University of St. Thomas Aquinas. He was ordained to the priesthood in Rome in 1978. 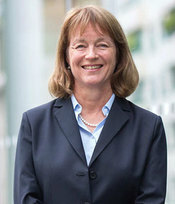 The president of Imperial College London since 2014, Gast has built a distinguished career as a chemical engineer and university administrator. After earning her bachelor’s degree from the University of Southern California and master’s and doctoral degrees from Princeton University, she taught and conducted research at Stanford University for 16 years, focusing on the study of surface and interfacial phenomena, in particular the behavior of complex fluids. 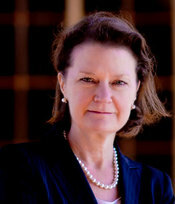 She was appointed vice president for research and associate provost at the Massachusetts Institute of Technology (MIT) in 2001, and five years later became the 13th president of Lehigh University, leading its $500 million capital campaign, expanding partnerships with the city of Bethlehem, Pennsylvania, and expanding new approaches to student-directed learning. As the head of Imperial College London, one of the world’s foremost universities specializing in science and technology, she leads the college’s strategy and engagement with government, industry, philanthropists and alumni. The first Latin American to lead the Lutheran World Federation (LWF) as general secretary, Rev. 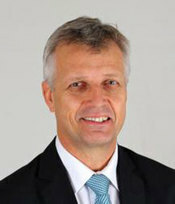 Junge was first elected to his position in 2010 and re-elected to a second term last June. Born in Chile to an Austrian mother and Chilean father, he studied theology at the University of Göttingen and was ordained a pastor of the Evangelical Lutheran Church in Chile in 1989. He served as a pastor in Santiago for 11 years, as president of the Evangelical Lutheran Church in Chile for four years and for nine years as LWF area secretary for Latin America and the Caribbean. The LWF is a global communion of Christian churches in the Lutheran tradition representing more than 74 million members in 98 countries, and the general secretary is the LWF’s chief ecumenical officer. Rev. Junge’s ministry has been characterized by a commitment to service and to ecumenism. This is reflected in the LWF’s ecumenical approach to the commemoration of the 500th anniversary of the Lutheran Reformation. A joint report, “From Conflict to Communion,” prepared by the Vatican and the LWF, laid the groundwork for the commemoration of the Reformation co-hosted by Pope Francis and the LWF leadership in Lund, Sweden, in October. Among the events at this historic commemoration was the signing of the Declaration of Intent, “Together in Hope,” by the Lutheran World Federation World Service and Caritas Internationalis. 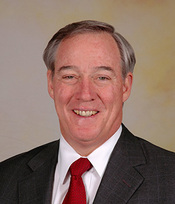 A graduate of Notre Dame and a member of its Board of Trustees since 1991, Purcell is the founder and president of Continental Investors and retired chairman and chief executive officer of Morgan Stanley. He holds a master’s degree in business from the University of Chicago and a master’s degree in economics from the London School of Economics and previously served as president and chief operating officer of Dean Witter and chairman and CEO of Dean Witter Discover. 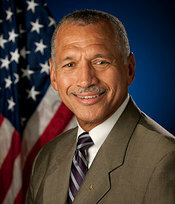 He is a former director of American Airlines and Northwestern Memorial Healthcare, the founding director and a past chairman of the Financial Services Forum, and he served for six years as a director of the New York Stock Exchange, including the vice chairmanship in 1995-96. He was a member for nine years of the advisory council for Notre Dame’s Mendoza College of Business. A Notre Dame graduate with a bachelor’s degree in architecture, Welborne is the senior vice president for corporate real estate and global facilities with The Walt Disney Co., overseeing the company’s overall corporate real estate strategy through development, design, construction, asset management, portfolio management and facilities support and services. She previously was the chief planning officer for the Los Angeles County Metropolitan Transportation Authority, where she was responsible for developing the long-range future of transportation in the area, and was managing director of the Grand Avenue Committee, overseeing a $3 billion project to revitalize downtown Los Angeles. She earned a master’s degree both in architecture and city planning from MIT, was a Loeb Fellow at Harvard University’s Graduate School of Design, and was an associate partner with Skidmore, Owings & Merrill, as well as a principal of Sasaki Associates in Boston. Originally published by Dennis Brown at news.nd.edu on March 30, 2017.